The last time my brother and I engaged in the Sibling Rivalry Collection Race, we each were trying to stake claim on two albums: Basia’s Time and Tide and Enya’s Watermark. At the time, a radio format specializing in light jazz and new age put singles from both albums in regular rotation. So he and I made a bargain — I would relinquish a claim on Basia if he relinquished his claim on Enya. Months later, we both came to the conclusion that I got the better end of the bargain. I think that trade-off started the thaw in the Sibling Rivalry Collection Race. As our tastes started to splinter — he getting into Hawaiian music, I going further into avant-garde classical music — staking territory became pointless. It became rarer when our tastes intersected than when they didn’t. I kept a foothold in (what would become) alternative rock, which inhabited an orbit far outside my brother’s more mainstream tastes. So it surprised me when he took up Sinéad O’Connor and U2. And he didn’t mind when I took up Sting and Madonna. We live in separate parts of the country now, but we both share a love for Japanese popular music. We’ve gone so far as to introduce bands to each other. So now I’m at a point in life where the stigma of “eww, my sibling likes that!” has lost its potency, and I can explore what was once arbitrarily off limits. Time and Tide wouldn’t have happened without Sade to prove the commercial viability of jazz-pop. Anita Baker, Swing Out Sister and Johnny Hates Jazz rushed through the gates opened by Miss Adu and her eponymous band. 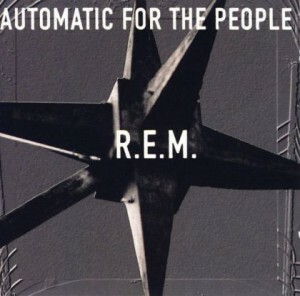 It’s a rather well-crafted album, steeped in the analog MIDI automation of the time. I can, however, understand my brother’s disappointment in the album. It doesn’t exactly break any new ground, compared to Enya and her hundred-times-overdubbed chorus, which was incredibly new for 1988. But Time and Tide is an enjoyable, durable album. 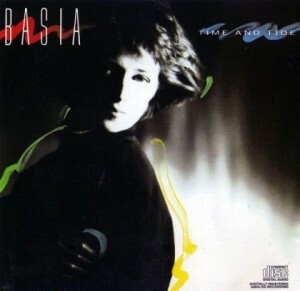 I do have to confess I first thought Basia was Agnetha Faltskog from ABBA, refurbishing her sound.